Sudden dizziness and nausea are often associated with vertigo. Vertigo isnot a life-threatening condition, but it may indicate a deeper health issue. Migraines, benign positional vertigo, poor circulation, overheating, and infection are all possible causes of the nausea and dizziness associated with vertigo. Read more to learn about other possible causes and what they could mean for your health. This type of vertigo can be treated with prescription medication based on your medical history and the persistence and severity of your migraines. One at-home treatment is to lie down in a quiet, dark room with a cold wash cloth covering your forehead until the symptoms subside. Benign Positional Vertigo (BPV) is the most common cause of vertigo, and it has been linked to other vertigo causing conditions such as inner ear infections and injury trauma. The sudden nausea and dizziness caused by BPV usually lasts about 30 seconds, but symptoms can last for days, weeks, or even months. The best ways to treat BPV are through prevention and awareness. Incorporate gentle lighting in your home and avoid positions that trigger your BPV. Remain aware of your surroundings and limitations when experiencing BPV symptoms to prevent more serious injuries caused by falls. Meniere’s disease, though more rare than some other vertigo inducing causes, is much more serious. The disease is linked to an excessive buildup of fluid in the inner ear, causing sudden vertigo that can last several hours. While Meniere’s disease is a chronic illness, there are several treatments and lifestyle changes that can be adopted to ease the symptoms. Vestibular rehabilitation exercises typically help improve your sense of balance and decrease sensations of uneasiness. If you experience sudden nausea and dizziness that last for more than a few hours, you should consult a medical professional at FastMed Urgent Care. You don’t need an appointment, and we offer extended weekday hours and weekend availability for your convenience. We accept all major insurance plans, including Medicare and Medicaid so check out our Insurance page to verify that your plan is accepted. 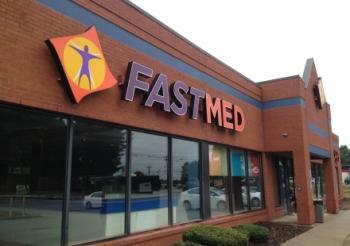 Contact us today and find your nearest FastMed Urgent Care location. 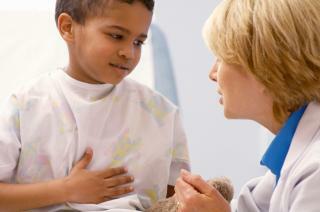 We will help determine and treat the cause of your sudden nausea and dizziness.